Salty and sweet with a kick. This pear and butternut squash salad is a favorite winter side dish and it’s perfect for lunch or any holiday get together. 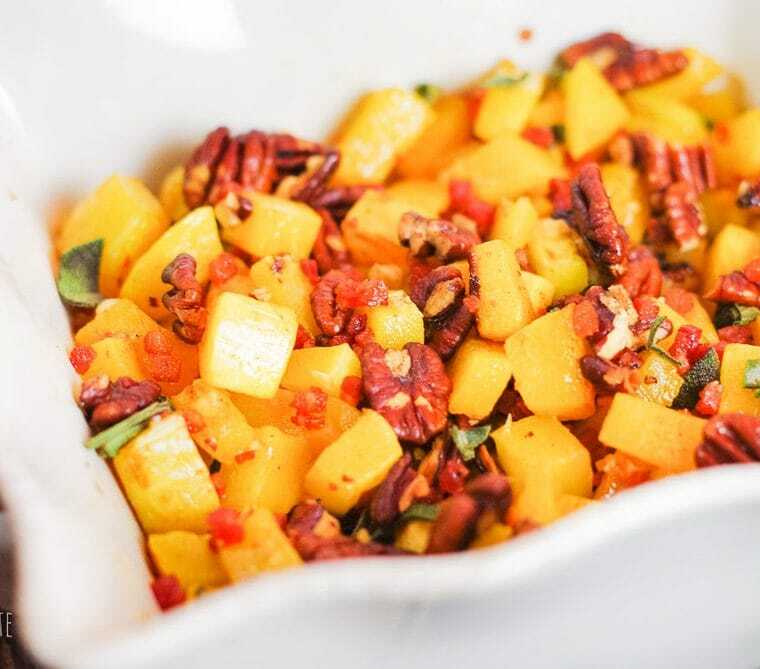 This maple butternut squash has a kick of cayenne and is paired with the crunch of toasted pecans and salty pancetta.